Dear Readers: The following touched my heart so much that I wanted to share it with you…. I just wanted to share a follow up with you related to the Pets From Paradise article in the current Fetch Magazine. Brian (featured in the article) just stopped by my office and let me know that he is fresh back from St. Croix and that he and his wife brought back ten dogs that then went to the Wisconsin Humane Society on Thursday. WHS had a very strong response to the dogs that were coming in from this year’s Pets From Paradise run, to the point that WHS, for the first time, set up a special page on their website identifying these animal, with photos, etc. There has also been a huge response on their Facebook page with tons of positive feedback and likes (34 comments and 146 likes between Thursday and now). If you have time, it really is heartening to read (March 24 post). I asked Brian if this was normal, and he assured me it was all new and that it came from the Fetch Magazine article. Just prior to Brian and Emily leaving, there was a fund raiser at Ci Ci’s Pizza to help raise money to bring back more pups, and I know from having participated, that directly came about from the magazine article. I just wanted to let you know in case you cared to share with the owners/editors of Fetch. I am sure they will like knowing that the work they do had a direct impact on capturing the imagination of their readers and that they played a powerful role in helping save these ten dogs. I hope you are having a good day, take care. Attention Everyone! There is a new Fundraising Resale/Consignment Store in West Allis. All the sales help support local animal shelters and rescue groups. Calico Corner Resale/Consignment Store is located at 6780 W. Lincoln Ave.West Allis, WI 53214. The store was established to sell new and resale items to help raise money for local animal shelters and rescue groups. The store hours are W-Th-Fri 9:30 – 5:30 and Saturdays from 9:30 – 4. On Saturdays from 12-4 we feature animals available for adoption. If you are from a local shelter/rescue and have an animal you’d like to bring to the store to show, contact us for a specific date. Help support the animals by doing your gift or thrift shopping at our store. We also accept financial donations. If you are interested in donating your quality, used items for us to sell or if you have items you’d like to place in our store for consignment – contact Diane #262-385-1232. We welcome local artists and crafters as well. The store now carries resale clothes, books, dvds, home decor, antiques, packaged food items, health & beauty items, and more. Come see for yourself, shop and support a great cause. We appreciate any support you can give us. You can also support us by passing the word on your facebook, twitter etc. accounts or by placing ads in your local newsletters or newspapers. Donations are tax deductible. Everyone working in the store is a volunteer. We are always looking for more volunteers for the store and more great forever homes for our adoptable animals. If we have more volunteers to work at the store we can expand our store hours. Thank you in advance for any help or donation you can give us. In 1977, a group of citizens formed the Ozaukee Humane Project in order to provide animal welfare education to area schools. Thirty-four years later, the organization is poised to become one of the most prominent animal shelters in the country. The doors to the new Wisconsin Humane Society Ozaukee Campus: Victoria Wellens Center will open on Saturday, March 26 at 10:00 a.m. with a ribbon cutting ceremony. The shelter is located at 630 West Dekora Street in Saukville. The 22,000 square foot building will be a Leadership in Energy and Environmental Design (LEED) certified building. LEED is a third-party certification program and the nationally accepted benchmark for the design and construction of “green” buildings. 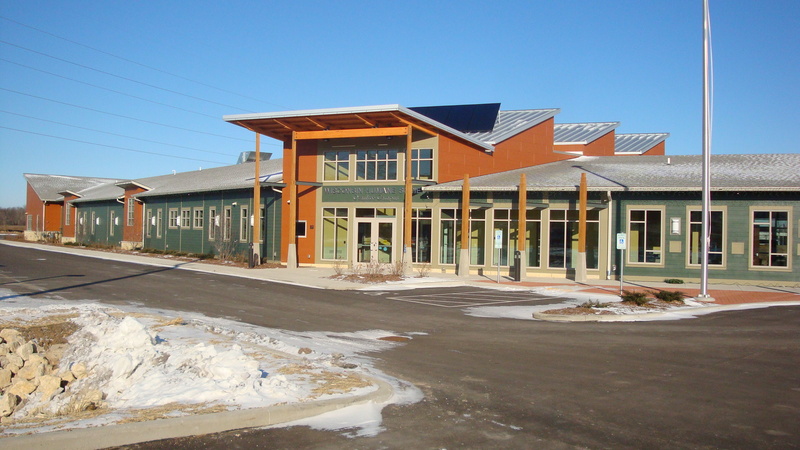 The Ozaukee campus will strive for a LEED Gold certification, making it the only LEED Gold-certified animal shelter in the Midwest. Situated in a hard-to-find location off Highway W in Grafton for the past 23 years, the Society’s previous location didn’t reflect the impact they had on the community. The previous shelter, which was built as an outdoor theatre concession stand, was outdated and did not provide space for proper housing, a veterinary clinic, or classroom space. The Wisconsin Humane Society is excited about the edge that the new building will provide in attracting animal adopters. It features expanded veterinary facilities, cageless adoption suites for the animals, and classroom space for children’s programming and dog training classes. The ‘people friendly’ interior of the facility includes a more comfortable adoption area, interactive educational exhibits and a retail store. Designed as a destination point for people to spend an afternoon learning about companion animal behavior or an evening perusing the views of the adjacent wetlands, the new amenities will attract more people to the shelter, raising adoption rates and volunteerism. The building’s fun and interactive educational displays will further the Society’s mission of treating animals with respect and kindness and promoting the human-animal bond. These exhibits will teach the community about animals and the importance of being kind to all creatures, including each other. In addition, educational displays showcase the “green,” sustainable strategies used in the construction and design of the shelter. From a “Green Scene Investigation” game to a Wetland Walk through the adjacent wetlands, there will be ample opportunities to learn about the environmentally sustainable features of the facility. Saturday, March 26 at 10:00 a.m. – 6:00 p.m.
Come at 10:00 a.m. for the ribbon cutting, or anytime during the day and tour behind-the-scenes, talk to adopters, and see the interior of the facility. We will be offering public tours, free gifts for adopters, and free puppy kisses all day. You will also have the opportunity to tour the PetSmart Charities Rescue Waggin’® dog transport vehicle. Transported by the PetSmart Charities Rescue Waggin’®, over forty puppies and dogs from Kentucky will be arriving at the new Wisconsin Humane Society Ozaukee Campus this evening. They will be the first animals in the building. They will be unloaded from the transport truck, given initial vaccinations, their first collars and ID tags, and then taken into their brand new kennels in our dog lodging area. Why: The 40+ puppies are the first animals to arrive at the new shelter, the first to have spay/neuter surgery at the Ozaukee shelter and will be the first to go home! Help us greet these 40+ puppies. They will be available for adoption on Opening Day (Saturday, March 26). 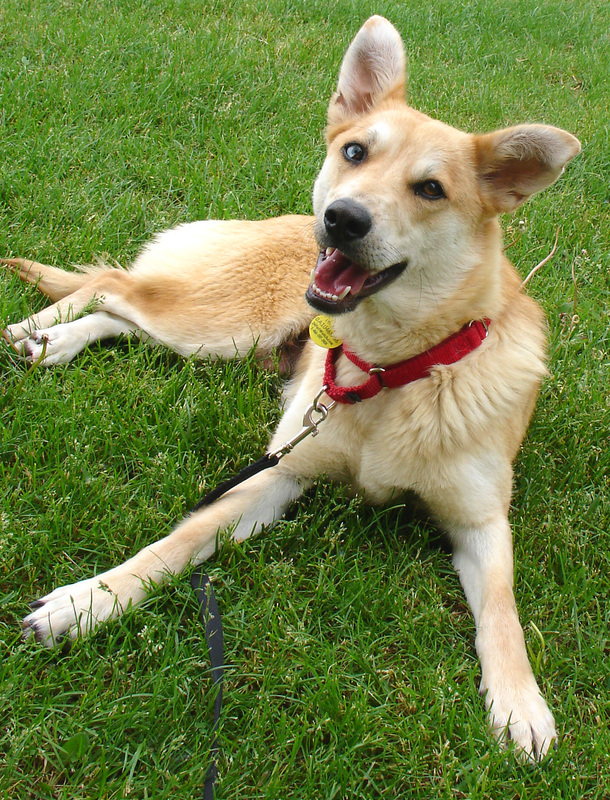 HAWS, the Humane Animal Welfare Society of Waukesha County, Inc. announces two special events this weekend to honor the extraordinary canines who spend their lives in life-saving service to our community. On Thursday, March 24, from 6:00 – 7:30 p.m, HAWS will hold the Honoring Working Dogs ceremony. Guests of honor include Qai, the recently retired K-9 officer for the Village of Elm Grove, and his handler, Officer Gus Moulas, and canine units from the Waukesha County Sheriff and Menomonee Falls Police departments. Also in attendance will be several area search and rescue teams of canines and their handlers. The festivities continue at Working Dogs Day on Saturday, March 26, from 11:00 a.m. – 3:30 p.m. Members of the public will have the opportunity to meet and interact with dogs that work in our community – in law enforcement, search and rescue and service capacities. Handlers will be available to answer questions about the dogs’ lives and their training. Both events are co-hosted by the Waukesha County Museum and will be held at their facility at 101 W. Main Street in downtown Waukesha, in conjunction with the Memories of World War II exhibit. Animal Fairy Charities Invited to Join The Grand Slam Charity Jam! I am writing you with some great news! The Celebrity Grand Slam Charity Jam is taking place April 2nd at Potawatomi in Milwaukee. We were so overwhelmed & proud yesterday afternoon when we heard the news that “Animal Fairy Charities” was chosen by Kristen Bauer (actress) & (host) as her beneficiary at “The Grand Slam Charity Jam”. Kristen Bauer is the star of HBO’s True Blood Series and has appeared in many popular television shows. I am also writing to share a very fun and easy way for your to help our charity. The Grand Slam Charity Jam is a fun and exciting VIP and celebrity event that will take place on April 2, 2011 at Potawatomi in Milwaukee. Celebrity performers and guests include Sugar Ray with frontman Mark McGrath (currently on NBC’s Celebrity Apprentice), American Idol stars Kimberley Locke and Paris Bennett, Kristin Bauer of HBO’s True Blood, Greenbay Packer Football Legend Leroy Butler and many others. Tickets range from $60 for concert tickets to $500 for the ultimate VIP experience. 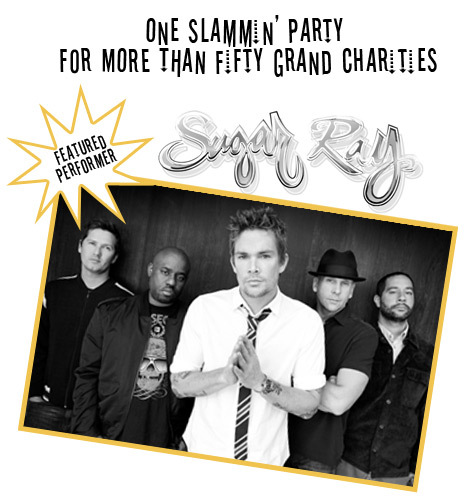 If you buy tickets online at www.grandslamcharityjam.com and type the name of our charity in the “Optional Charity Code” we will receive 100% of your purchase price for the $60 and $80 concert tickets and 50% of your purchase price for the VIP tickets ranging from $100 – $500. The VIP tickets include a full dinner, auctions, and at the higher price points — an After Party with the celebrities. Dog training classes are now open for registration at the Wisconsin Humane Society – Ozaukee Campus. The new shelter will be open March 26 and is located at 630 W. Dekora Street in Saukville. All classes are based on positive reinforcement training techniques. Class fees range from $105 – $125 for Puppy ABCs, Manners Class, and Adult Manners Class. See individual class listings for fees on other offerings. Learn more and register at www.ozaukeehumane.org. Basic Manners Class, Thursday, April 7, 6:15 p.m.
All of our classes use reward based training techniques where we will teach you how to use a clicker for training. Your dog will be taught in a positive learning environment and have fun during this 6-week course! Upon completion of this class, your dog will have learned many cues such as sit, down, stay, off, leave it, wait at the door, come, walking on a loose leash and other important skills. Puppy ABC’s (Appropriate Behavior Class), Thursday, April 7, 7:30 p.m.; Saturday, April 23, 9:00 a.m. Your puppy will be taught in a positive learning environment where he or she will have fun! Your puppy will learn some very important cues like sit, down and wait at the door, with an emphasis on socialization and handling to allow all puppies to be successful, polite adult dogs. This class is a great stepping stone for all puppies up to 5 months of age. If over 5 months please enroll in our Manners Classes. Therapy Informational Session, Saturday, April 30, 11:15 a.m.
Have you ever considered getting your dog involved in animal therapy work? Join us to learn about this fun and rewarding field and how to get started. Topics covered include commitment, types of facilities to visit, as well as suitability and training requirements. Hear from current therapy dog teams about the volunteer work they do in the community. Bring your questions but not your dogs. Therapy Dog Class, Saturday, May 21, 11:15 a.m. This class will help you and your dog practice the skills required for Delta Society Pet Partners® registration and provide helpful hints on how to conduct successful visits. The class includes the Delta Society Pet Partners manual and Team Evaluation by a Delta Society Licensed Team Evaluator on the final day of class. Adult Manners Class, Saturday, April 23, 10:15 a.m.
All of our classes use reward based training techniques where we will teach you how to use a clicker for training. Your dog will be taught in a positive learning environment where he or she will have fun! Upon completion of this class, your dog will have learned many cues such as sit, down, stay, off, leave it, wait at the door, come, walking on a loose leash and other important skills. Don’t forget to mark your calendars for Saturday, March 26! It’s opening day at the new shelter, and there will be plenty of puppy kisses to go around. Saturday hours will be 10:00 a.m. to 6:00 p.m.; Sunday 11:00 a.m. – 5:00 p.m. and Tues-Friday 10:00 a.m. – 7:00 p.m. The shelter is closed on Mondays.